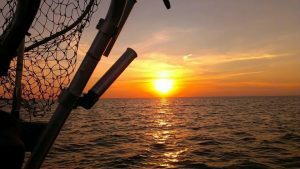 Saginaw Bay windy conditions have kept anglers off greater Saginaw Bay for much of the last week so few reports have come in. 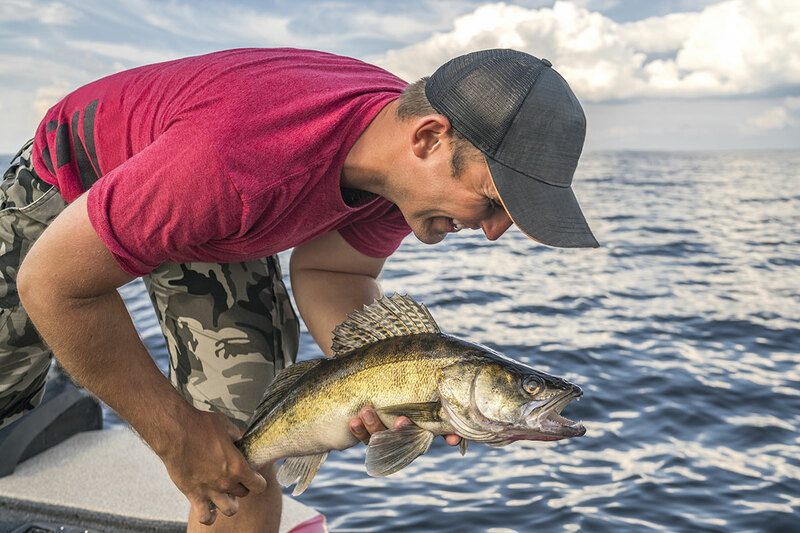 When the boat anglers can get out, most were trolling or vertical jigging for walleye. Saginaw River a couple decent catches of walleye were taken between the Independence Bridge and the mouth when fishing along the edge of the current. Tittabawassee River water levels went down and cleared up and walleye anglers did reasonably well both upstream and downstream of the Center Road launch. 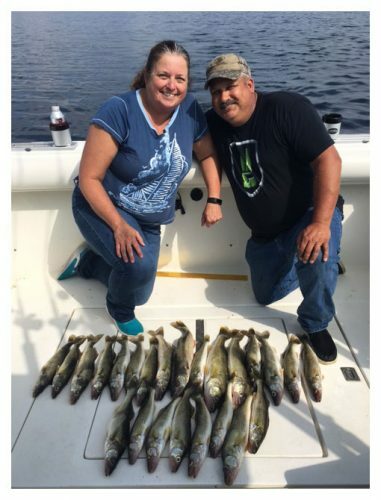 Some reported limit catches for a half-day’s fishing when trolling up and down with shad-raps. Good colors were white, green, chartreuse, fire-tiger or black and silver. 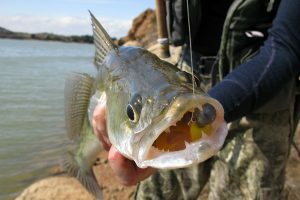 A number of white bass were caught with crawlers on the bottom or when trolling. Smallmouth bass were caught on tube jigs up at the Dow Dam. Au Gres Area anglers were trolling close to shore between Point Lookout and Pointe Au Gres when launching at the mouth of the Au Gres River. 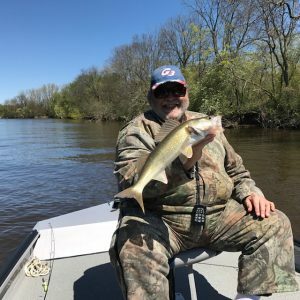 Oscoda walleye action was heating up and those casting deep diving crank baits and jigging twister tails or fluke tails from the pier at Au Sable River Park reported good catches early and late. Anglers casting spoons and crank baits from the end of the pier caught a couple Atlantic salmon. Boat anglers caught walleye when trolling crank baits in 10 to 20 feet. Au Sable River those trolling crank baits or a crawler harness and bottom bouncer caught a good number of walleye below the Mill Street Bridge. 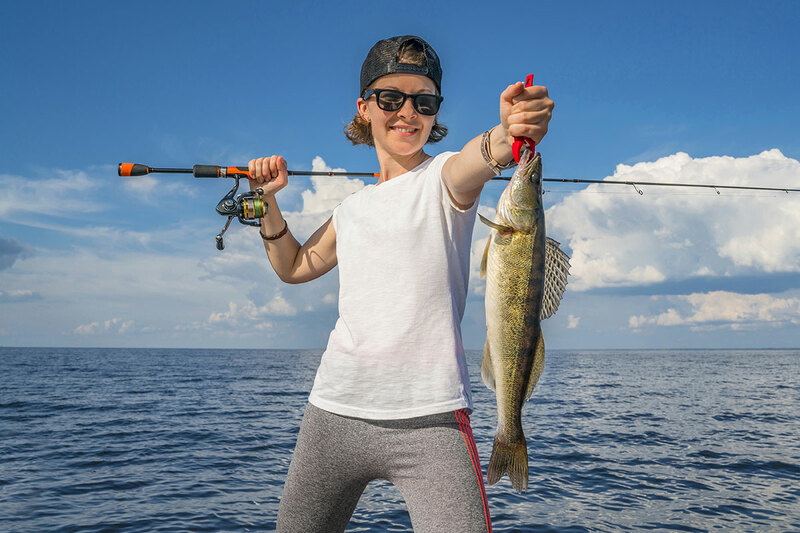 Shore anglers caught walleye, freshwater drum, large and smallmouth bass when drifting crawlers under a slip bobber, jigging soft plastics or casting crank baits. Further upstream towards Foote Dam, a couple steelhead were caught on beads, egg flies and spawn. Water levels were high but are dropping so steelhead fishing should get easier. Water temperatures were around 55 degrees. Tawas Area boat anglers were trolling down near Alabaster and the Singing Bridge because of windy conditions. They caught a few walleye on body baits in 10 to 20 feet. Trout season is well under way with many anglers using dry flies and spinners. But what if you’re interested in waging a battle with the largest trout in the river? Have you considered using stickbaits or body baits? Many avid trout anglers swear by using these types of lures if you’re looking to catch big stream trout. Stickbaits and body baits mimic the minnows and small fish many trout species love to eat. Keep in mind you won’t catch large quantities of trout when you’re using this type of bait, but the ones you do find may be high quality and worth the effort. 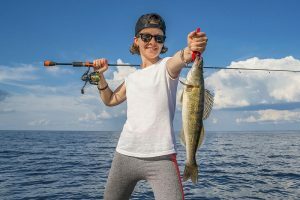 Consider fishing with lures you’d normally use when targeting bass and/or northern pike and stick with natural colors for the best chance of success. To learn even more about fishing for trout in Michigan check out the Michigan Fish and How to Catch Them website.